Illustration of the device structure: stanene is on top of the lead-tellurium film and bismuth-tellurium substrate. α-tin has a similar crystal structure to diamond. Almost a century after Heike Kamerlingh Onnes first discovered superconductivity, the factors that determine whether a system will be superconducting and at what temperature remain hard to pin down. However, advances in nanotechnology have given some good pointers where to look, as well as providing promising systems for exploiting superconductivity in real-world applications. The fundamental requirement for superconductivity is the coupling of fermionic electrons into Cooper pairs. Theory paints a neat picture of how the resulting bosonic behaviour allows occupation of the same energy levels and leads to a host of exotic behaviour - zero electrical resistance and the expulsion of magnetic flux lines so that superconducting objects levitate on magnets, to name a few. 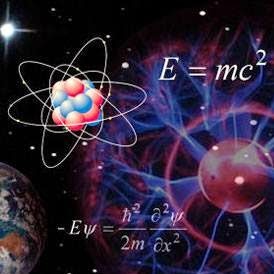 Where the picture grows fuzzy is extrapolating from there what specific aspects a material system needs to become superconducting at a given temperature. While design principles to fabricate a room-temperature superconductor remain elusive, a lot has been learnt in the chase, bringing applications of superconductors in a range of sectors from imaging, testing and quantum cryptography ever closer. Among the material systems where unusual electronic behaviour akin to Cooper pairing might be likely is the interface between perovskite oxides – in particular, LaAlO3 and SrTiO3 – where there is a discontinuity in the polarity of the crystalline lattice. Following the initial discovery of a highly mobile “2D electron gas” at the interface in 2004, Jochen Mannhart and colleagues then identified superconducting properties at the interface in a layer limited to just 20 nm in 2007. The transition temperature was a chilly 200 millikelvin, and the exact origins of the effect were unclear, but oxide interfaces remain a hotbed for exploring electronic and spintronic behaviour. Since then several 2D structures have revealed superconducting behaviour where it does not exist in the bulk, an example being “grey” tin. The form of tin usually considered most useful is “white” tin, which has a conventional metal crystallographic structure, and was among the first superconducting materials to attract study. However, at low temperatures white tin will gradually transform into grey tin, which has a diamond cubic structure and is sometimes described as “tin pest”. 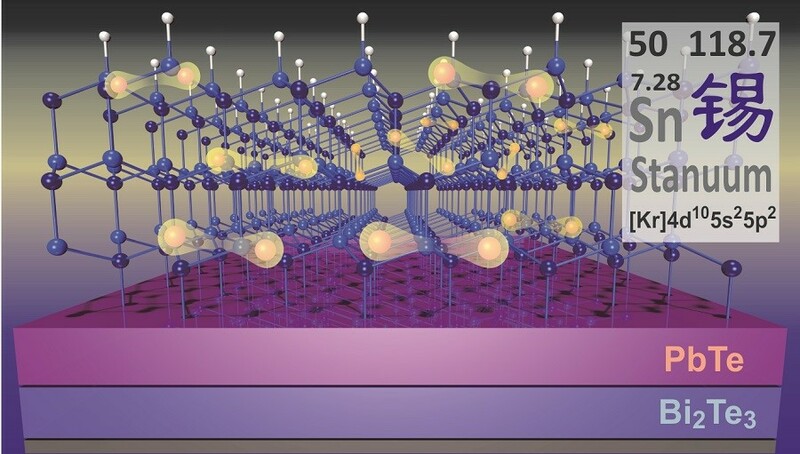 To their surprise, Qi-Kun Xue, Ding Zhang and colleagues at Tsinghua University in China found that when they reduced the dimensions of tin to 2D stanene of just 2-20 layers, they could observe superconducting properties in grey tin too. 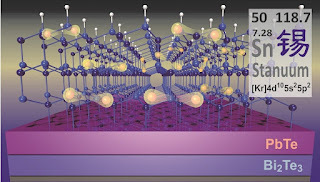 Going even thinner to monolayers resulted in insulating properties. "What we found is that the grey tin can be scientifically quite interesting," Zhang told nanotechweb.org. As well as the fundamental science the discovery opens up, it also poses the opportunity to produce circuits from all one material, with superconducting wires of few layer stanene separated by insulating monolayers.